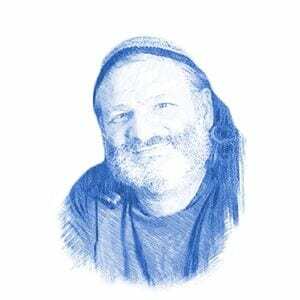 Biblical Message in Recent Wave of Terrorist Arson - Breaking Israel News | Latest News. Biblical Perspective. As fires rage across the Carmel region, the result of terrorist arson, some Israelis look to the Bible to understand a deeper lesson of what these flames mean. A national emergency was declared as a fire of enormous proportions threatens entire regions in Israel. Over 60,000 residents were evacuated from the Haifa area, and public transportation was shut down in certain areas. Several houses and automobiles were consumed by the flames. Hundreds of firefighters struggled to react as fires cropped up suddenly in hundreds of separate spots, indicating the blazes were set intentionally. Greece and Cyprus sent fire-fighting airplanes to help. Newly set fires now threaten Jerusalem and the surrounding area. Malkah Fleisher, a Jerusalem resident originally from Texas, had no doubts that this was an attack on Israel, but she understood a deeper lesson in the tragedy. She opened her Bible and saw a clear link between the fires raging now and fire that once raged in the same place so many years ago. “It dawned on me that this is not the first time the nation of Israel has seen fire on Mount Carmel,” she told Breaking Israel News. Fleisher took to social media and posted a powerful message, comparing the blaze raging out of control on the Carmel Mountain today to the holy fire Elijah the Prophet called down from the heavens when he faced off against the priests of Ba’al. Malkah’s husband, Yishai Fleisher, the international spokesman for the holy city of Hebron, also learned a deep lesson while staring into the flames set by the enemies of Israel. “If we escaped the fires of the Holocaust, we’re certainly not going to succumb to this,” stated Fleisher, quoting the prophet Obadiah. “This fire they lit will come back again, but in the manner that the prophet said,’ noted Fleisher. Arson became a call to battle as Arabs flooded social media, praising the fires. Jerusalem Post reported that “Tel_Aviv_IsBurning” was the most common Arabic hashtag trending on Arab social media platforms on Thursday morning, many citing recent legislation to limit early morning muezzin (calls to prayer broadcast over loudspeakers) as the cause for what they saw as divine retribution. 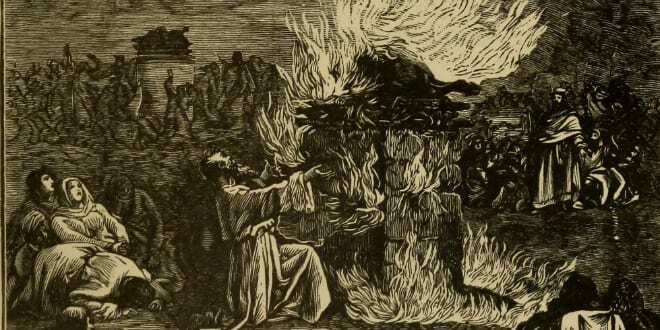 Fleisher compared the burning of forests to the Philistines stopping up Abraham’s wells in order to drive Isaac away.